ZTE ZMAX Pro owners, a new software update is coming your way. 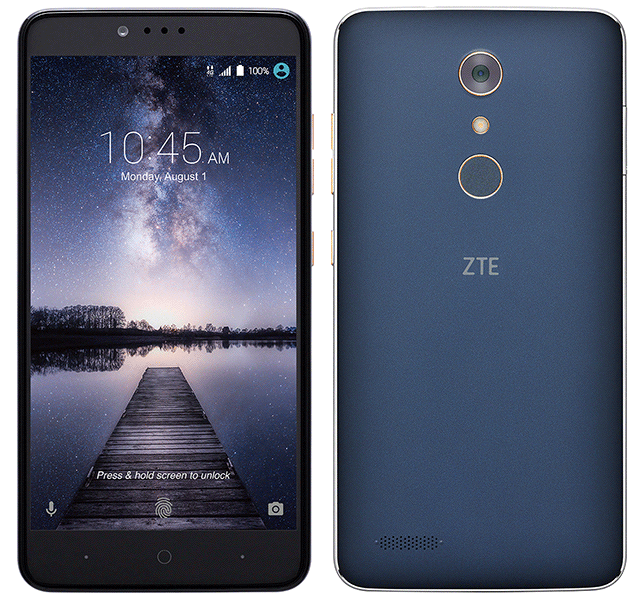 T-Mobile has announced a new update that bumps the ZTE ZMAX Pro to version TMO_Z981V1.0.0B09. The update, which began rolling out on January 27, includes bug fixes and the December Google security updates. This ZMAX Pro update is around 380MB in size, and you’ll need approximately 500MB of free storage on your phone to download and install it. Once you’ve got that storage available, you can check for the update by going into Settings > About phone > System updates. Haha people that are hating on this phone are just jealous because they wasted their rent money and child support payments on a $600-$800+ phone and regretted it later. When this can do what other phones do just as good, if not better, for a whole lot less. A lot more people are turning to low budget phones. More expensive doesn’t always mean better. That $800 dollar phone will be outdated and obsolete within 6-12 months anyway, until the newer version comes out. It amazes me that they’re still selling last generation’s galaxy’s and iphones for the same price as the current one. Stop being so dense. I haven’t got my phone yet so cannot really comment on it, but what you say makes perfect sense, and is the very reason I took the plunge, rather than fork $400 for a 6p which Google is anyway trying to turn their backs on; but these kids who are all into instacrap and iCrap are comparing apples to oranges and not looking at VFM or being helpful with their 2-3 word responses. You are so right,go to a Tmobile store and get overcharged for anything in the store too. It’s only $100 where I’m from. I don’t know where you are that it’s $180. It’s 179.99 thru Tmobile. Metro sells is for less. I know believe me. So what’s the difference between them? T-mobile and MetroPcs are joined and share the same network. Oh..one is pre-paid and the other is thru a plan. Metro phones are locked now. You can’t use it on T-Mobile without unlocking. But T-Mobile phones can still be used on Metro without unlocking. Did you personally try that? Someone posted elsewhere that it did not work. I know what you were getting at. I used to do that as well until Family Mobile started locking in the same way as Metro. I used to work for T-Mobile and we would always sell out of this phone. It was very difficult to keep in stock. It’s a great phone for the price. And I do believe many of the complaints are software related, and likely fixed or mostly patched up in this update. With an octa core soc/Cat7 LTE, this phone isn’t bad at all. I just got this on MetroPcs for $100. Not a bad deal. This phone is better than most other high end phones and can do what most phones do for $500 and up. If your phone is working fine, the only real reason to update would be to improve security, or if the update adds new features. Security being the number one reason. If there were any security issues with the current update you have, then the new update would patch/fix those security issues. That’s why it is important to keep devices up to date, to protect your personal info from known threats that may have compromised the previous update. I got this phone because of the reviews i watched/read. Is it garbage? No, for the money it works. Is it fast? Nope, but if your not a power user its fine. To me though the colors seemed washed out. I got the Honor 8 and it puts this phone to shame. Is it 6″? No, but its way faster, battery life is better, screen is way better, plus i have Nougat. The only gripe i have is it doesn’t have wifi calling. But Tmobile’s coverage is good where i live so i really don’t need it. Plus the Honor 8’s camera is way better. Back to the Pro, what can i say, for the money its good. For me its a good back up phone. For those who say why spend $600-$800 when they can have this? I spent $300 on my Honor 8 and it blows it away. Compare it side by side to a flagship and you’ll see there is no comparison. I’m not crapping on the Pro, just can’t say its the best. I had the Moto G4, and that was better than the pro. But if you want a cheap decent phone, the yes the pro is ok for that. I downloaded and installed the update without any issue. I am just curious what bugs were fixed. I could not find specifics. Had this phone and it is the worst phone ever. Randomly puts calls on mute. I would have to put the call on mute then unmute it for it to start working again. My wifes got so hot while charging once that the plastic on the back started to wrinkle. My father in law has one and his will just freeze up on a black screen and we have to hard boot it to get it to work. Had high hopes for this phone but i guess you get what you pay phone.